Be one of the first to try out the new Edinburgh airport Travelodge Hotel at Ratho Station. Travelodge offers the bare essentials of what you need at a fantastically-low price, with all the dependability of the nationally-renowned chain. Don't miss out. Very pleased all went smoothly. Hotel and Parking as expected, staff were very helpful. Food at the hotel was at best average. Parking was good, prompt pick up and no issues when we were delayed. Hotel and parking went smoothly. 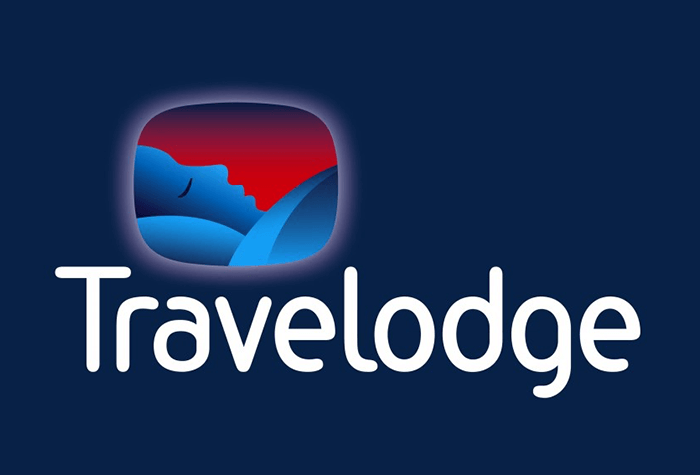 Our customers rated Travelodge on average 8/10 (50 reviews). Read Travelodge reviews. The price isn't a mistake - you really can get an airport hotel for that little, and it's comfortable and friendly too. At Travelodge, you get all the essentials at a fantastically-low price, and the savings don't stop with the room. The Travelodge bar serves your favourite meals at such a low cost, you won't believe they're offering it an airport hotel. It may not be fancy, but it's everything you need at an affordable price. Check-in is from 15:00. The best thing about Travelodges, apart from the price, is the fantastic bar, so head straight down and make the most of it. They serve a range of drinks, including alcohol and soft drinks, so you can toast your holiday in style. When it's time for dinner, head back down to the cafe bar where you can indulge in all your favourite teatime treats. Burgers, pizzas and other popular classics are on offer at some of the lowest prices you'll find at the airport, so don't be afraid to tuck in! If all you want is to kick back and relax, you can even take your food up to your room. Either way, it's available between 17:00 and 22:00 every day. You'll find all the essential home comforts upstairs. Sink into your super-soft bed, or curl up and watch your favourite TV show before you hit the hay. If you fancy staying up, the hotel's wifi is free for the first 30 minutes, and just £3 for 24 hours after that, so you'll always stay connected to the things that matter. In the morning, fill up on a delicious buffet breakfast before you fly. You can choose as much as you like from the mouthwatering selection of cooked food, and there are lighter options like fruit salad, yoghurts and croissants for those with smaller appetites. True to Travelodge style, breakfast is a bargain at just £7.95 per person and food is served from 07:00 to 10:00 on weekdays, and 08:00 to 11:00 on weekends. When you're ready to fly, the hotel can book you a taxi to the airport at a cost of £10 each way. For a bargain stopover that ticks all the right boxes, book the Edinburgh airport Travelodge today! Disabled facilities Accessible bedrooms are available - if youd like to request one give us a call before you book. They include handrails, grab bars and wet room bathroom. Travel to the hotel - youll find driving directions and a postcode for satnavs in your confirmation email. Overnight parking is free if you need it. Reception can book you a taxi to the airport. It will cost around £10 and take 10 minutes to get there.